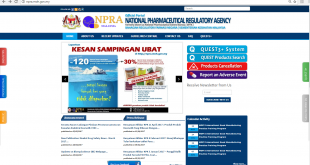 Medicines advertisement control in Malaysia is different from the United Kingdom. 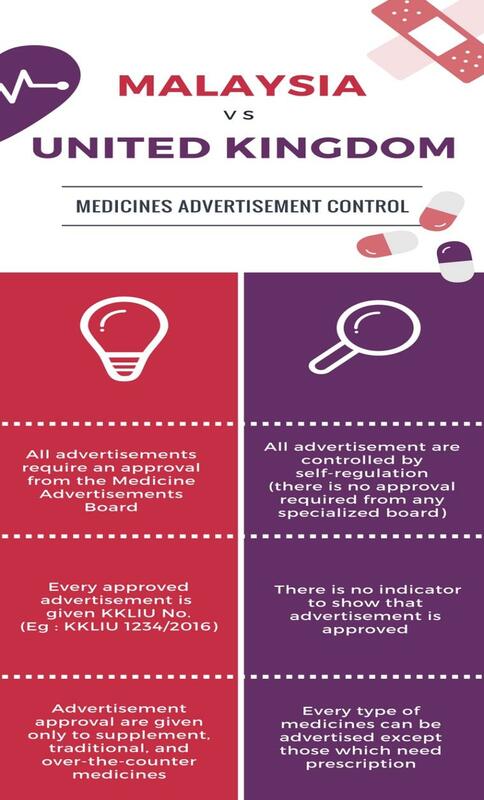 In Malaysia, the system applies are approval from the Medicine Advertisements Board (MAB) whereas in the United Kingdom they are practicing self-regulation control. In self-regulation approach, the responsibility to ensure medicine advertisement is abiding the law is not only falls to the hand of the authorities but also shared among agencies and associations concerned. This means that if a member of association is violating a code that has been assigned, action will be taken by the agencies towards the offending member. On the other hand, in UK, all advertisements do not require any approval from the authorities. However, all advertisement must follow the guidelines and act that are enforced by the UK authorities. Self-regulation control is the core to regulate of medicine advertisement in UK. This is due to the punishment is higher compared to the punishment under the Medicines (Advertisement and Sale) Act 1956. Apart from the punishment sentenced, the authority has the power to issue an order for rectified statement. This means the advertiser must release a corrective statement for the misleading advertisement that has been spread. Consumers are advised to make sure all medicine advertisements carried an approval number from the MAB. 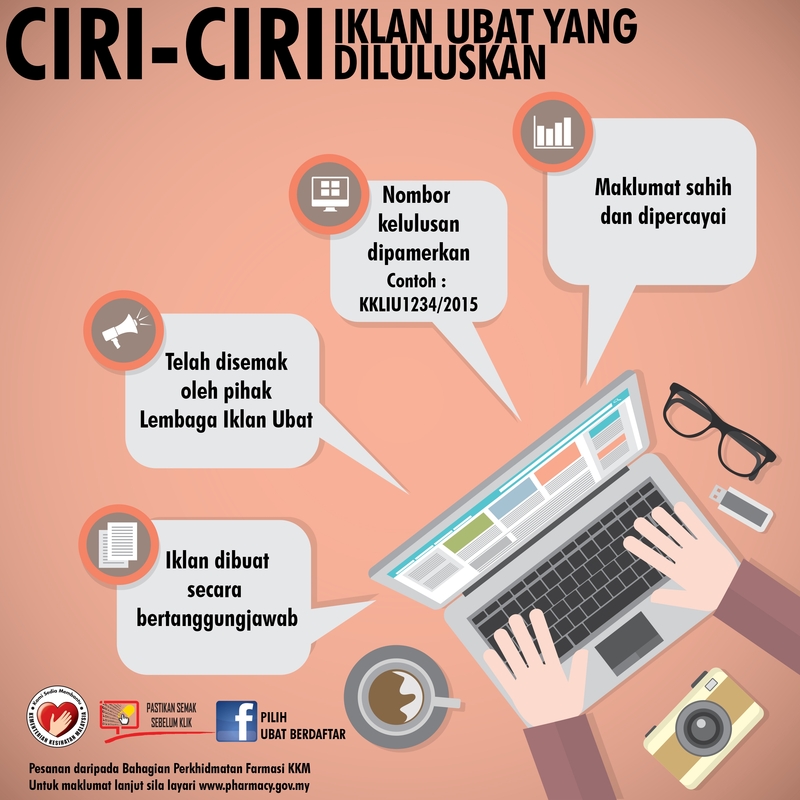 Approved advertisement has been evaluated by MAB. The aim is to make sure all the information are true and correct according to the evidence given during the advertisement application process. Make sure registered medicine/pharmaceutical product have a MAL registration number along with a hologram sticker and its advertisement is approved by the MAB. 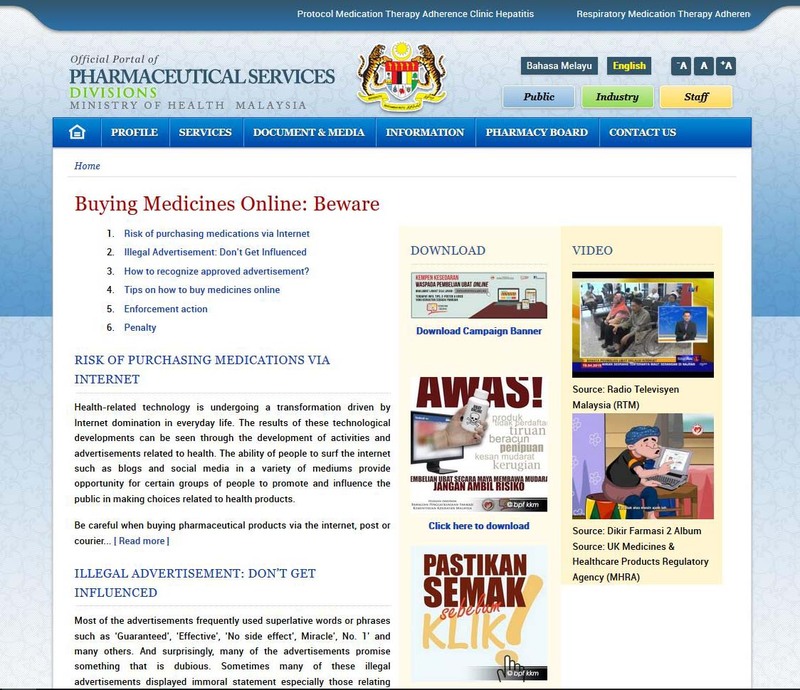 Realizing the fact that consumers need information, the Pharmaceutical Services Division has created a dedicated webpage to give information concerning the risk of purchasing medicine online. 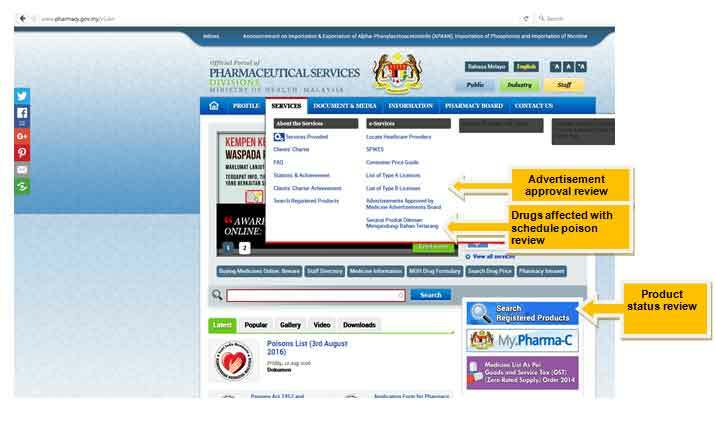 Please go to http://www.pharmacy.gov.my/v2/ms/website/waspada-belian-ubat-online for tips/guidelines/e-posters and videos.